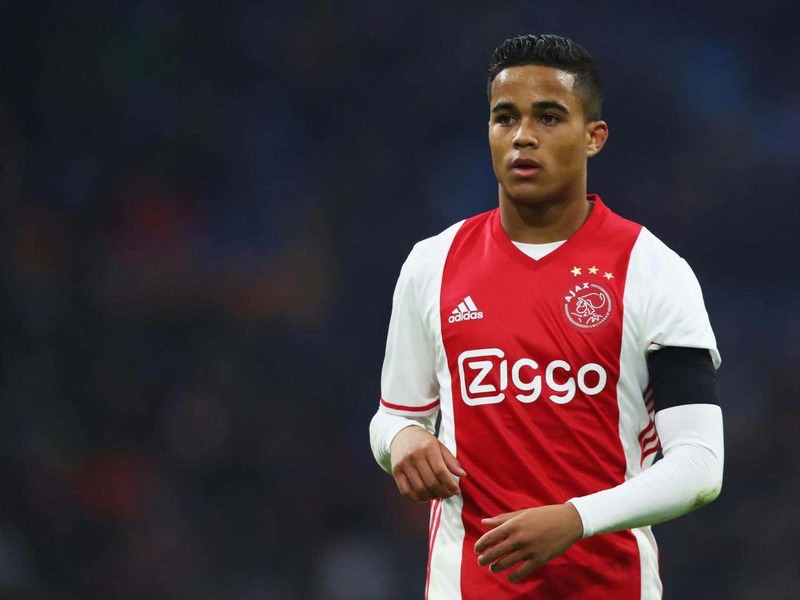 Justin Kluivert: a son like his father? The first thing that you think on meeting Justin Kluivert is how much he looks like his father Patrick. No words can describe the facial similarity; you just have to see it. The second thing you think on meeting Justin Kluivert is how young he is. He only made his first team debut in January. He only turned 18 this month. Kluivert is so young that when he signs shirts, something he has to do more and more often now, he does so not with an illegible signature but just with @justink, the handle of his Instagram account, followed at time of writing by 209,000 people. Welcome to the next generation of footballers. Even amongst that peer-group, the players who will dominate the European game through the 2020s, Kluivert is a new arrival. He is five months younger than Kylian Mbappe, 10 months younger than Christian Pulisic and a whole 18 months younger than grizzled seen-it-all veteran Marcus Rashford. But more than anything else, you know that Kluivert is young because he does not remember when his dad was one of the most feared strikers in Europe, with Ajax, Barcelona and the Dutch national team. How could he? Justin was only born in May 1999, growing up in Amsterdam while Patrick was away, playing with Barcelona and then Newcastle United. “I was too young,” Justin shrugs, when asked about the years when Patrick was at the peak of his powers. Ultimately Justin only has vague memories of watching the final two seasons of Patrick’s career, when he was moving around Europe, trying to overcome injuries, before retiring at just 31 years old in 2008. Of course that has not stopped Patrick from giving Justin advice. He took him to join Ajax in the first place, when Justin was eight, one year older than Patrick was when he joined. Since then Patrick has told him to stay at the club where he made his own name, to learn the game, rather than moving abroad for the money while still a teenager. Patrick has also given Justin plenty advice on the game itself. “Take a lot of pleasure, of course that is number one,” Justin says, distilling what Patrick has taught him. It is good advice, but Patrick and Justin are very different players. Patrick was an imposing 6 foot 2, elegant and ruthless, but able to bully centre-backs if he had to. Justin is a good five inches shorter and much slighter. Not a number 9 either, but a winger, most comfortable playing on the left. 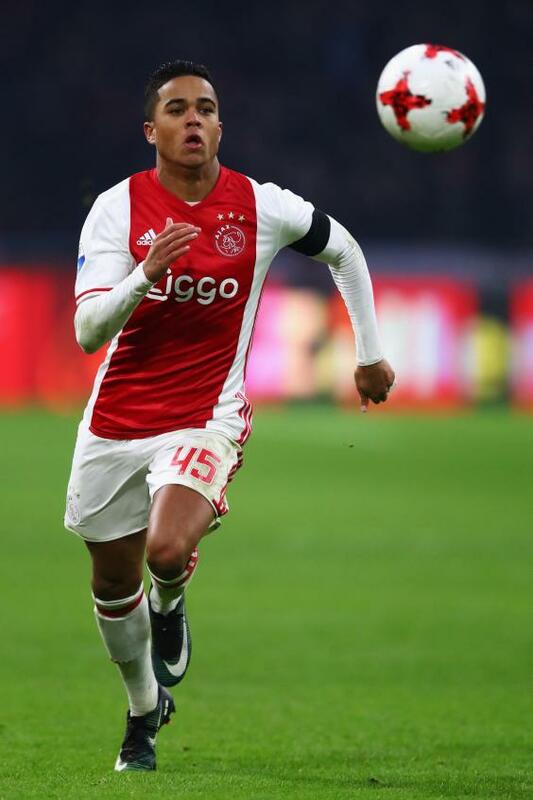 Justin Kluivert says that his best qualities are that he is “quick” and “flexible”, rather than strong. His football hero is an old Barcelona team-mate of his father, Ronaldinho, who had “all the tricks”. And, after him, Cristiano Ronaldo. For now Kluivert plays on left, but of course he knows that his hero Ronaldo has moved from out wide to number 9 in recent years. Even if Justin were to move inside, though, Ajax coach Peter Bosz cannot see him becoming a striker like his father. He just is not big enough. “If he evolves as a number 9, and of course it’s possible, he will be a completely different player from his father,” Bosz says. Wherever Kluivert plays on the pitch, there is no doubt in his mind that Ajax is the best place for him to learn. It is one of the best academies in the world, marked out not so much by the quality of the facilities but by the coaches themselves. Spend any time at De Toekomst and you will be bumping into legendary old Ajax players as soon as you step through the gates. At the start of this season, Justin was playing with the A1 team, what the Dutch call their Under-19s. His father Patrick was due to be their coach for the season but in August he got a very lucrative offer to be sporting director of Paris Saint Germain. 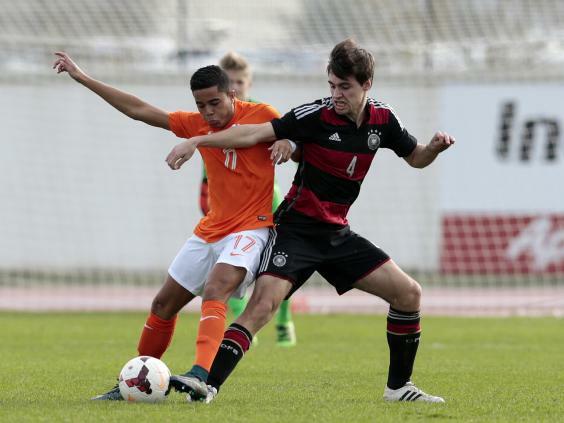 Kluivert was replaced by Aron Winter, his old team-mate. It is a big leap going that quickly into men’s football and Kluivert talks about how “strange” it is to play with grown men who have families and “big cars”. 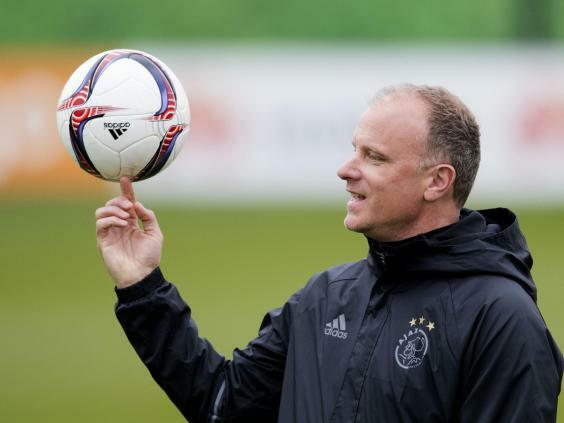 With the first team he is coached every day by Dennis Bergkamp, his dad’s old strike partner with the Dutch national team. “He’s a great teacher for me, he can teach me a lot,” Justin says. “If you look at him, how he touches the ball is unbelievable, he shoots perfectly. Then I ask him how he does it.” Bergkamp turned 48 this month. Kluivert says he still has the best first touch at the club. Overseeing it all is Peter Bosz, a Cruyffian zealot whose aggressive high-pressing game has reinvigorated Ajax this season. He needs young quick players like Kluivert and Kasper Dolberg but Kluivert is happy to do all the running Bosz needs him to. “Bosz, the trainer, for his first year I think he’s done an excellent job,” Kluivert says with startling assurance. Yes, Kluivert is clearly blazingly confident. But he is the brilliant teenage scion of a great Dutch footballing family. How else would you expect him to be? He says himself that he is a ‘typical Amsterdammer’, along with Ajax right-back Kenny Tete. That mix of youthful swagger with classical Ajax values is what makes this team so exciting. And no-one can represent that better than Justin Kluivert. His father scored the winner in the 1995 Champions League final and won the Intercontinental Cup that year too before leaving for AC Milan on a Bosman free transfer in 1997. 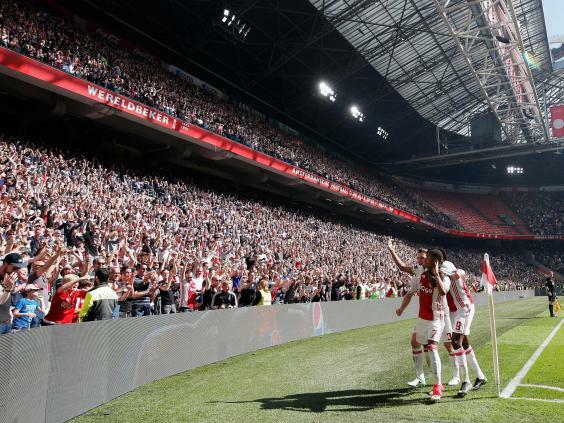 Justin is unlikely to spend his whole career at Ajax but for now he knows there is nowhere better for him. And Patrick tells him that every day.